Join us for a special barbecue lunch, and hear Pastor David’s heart on why you should become a Creekside Partner. We’ll discuss all you need to KNOW, BE, and DO as a Partner. We want you to officially join the Creekside Family. 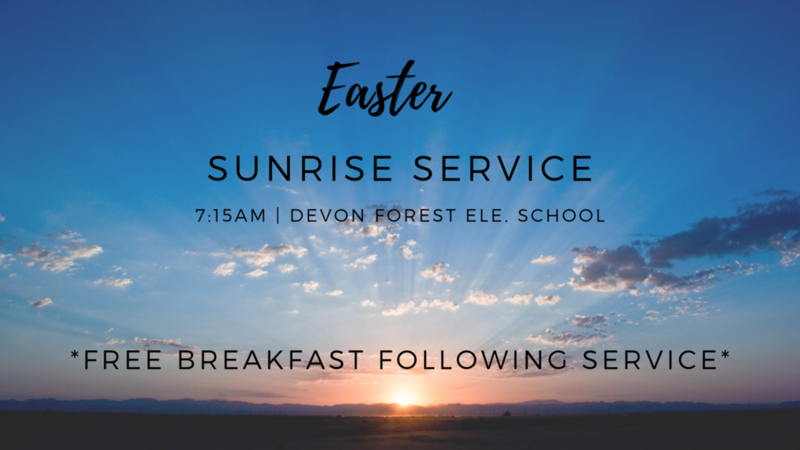 You're invited to Easter at Creekside Church, Sunday, April 21st at Devon Forest Elementary School. Bring the entire family! We offer a safe, secure, and fun environment for kids birth-5th grade. Why do we share the Good News of Jesus? Who do we share the Good News with? What do we say? How do I explain this Good News? When am I supposed to go and share Good News? Join us for our first “Saturate Saturday” and we’ll unpack all of these questions and answers. This is a big ONE...Come and celebrate with us the one year anniversary of Creekside's Launch. We'll reflect on the year of 2018, celebrate what God has done, and look forward to 2019. Let's party together! Big after-service party. More details coming soon! There will be no service December 30th! 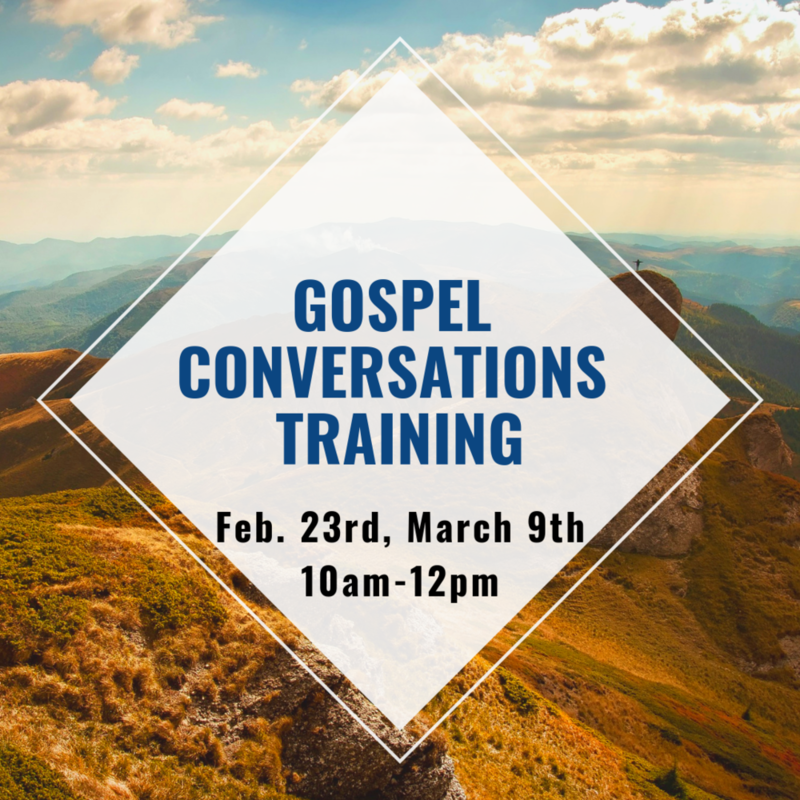 Please use this opportunity to spend time with family and friends or attend another church in our circle of accountability. It's like a yard sale, only it’s FREE!! Give back this Christmas season! There are so many around us looking for love and hope. This is your opportunity to make a difference. Love Gave is a collaboration of churches in the greater Charleston area who believe that we can accomplish more together than we could on our own. This year, we are partnering with local schools to focus that love on our schools and communities. We LOVE our crew members and are so thankful for the time you spend helping us make Sunday mornings run smoothly! As a token of our appreciation, we are having a Crew Appreciation Breakfast. If you serve in Greeting, Kids, Setup, Security, Tech, or Worship join us on Dec. 2nd @ 8:30AM. Baby Dedication is a time for parents to formally and publicly dedicate their child to the Lord. We also refer to this time as "Parent Commissioning" as a reminder that parents are the chief disciple makers of their children. This will be a small ceremony on Sunday morning, October 21st, during the morning worship service. Any child is eligible for the dedication, the only requirement is that participating parents be dedicated to the Lord's work in their child's life. Along with the ceremony, we are hosting a PRE-CEREMONY BREAKFAST on October 14th for parents who will take part in the dedication. Attendance to the breakfast on the 14th is required to be a part of the ceremony on the 21st. It's almost time for Missional Communities to Launch for the Fall! Are you ready?!?! Find out which MC's we'll be offering, and which group is right for you on August 26th. Bring a picnic lunch for your family and we'll provide FREE ice cream from the ICE CREAM TEAM TRUCK. You don't want to miss one of the most important days of the year! MC's will Launch the week of August 26th. Join us for Discover Class on August 12th, 1pm, Church at Cane Bay. We'll give you a brief introduction on how the church began, as well as, share with you what we're doing now and in the future. Our main goal for this class is to give you all the information you need to decide if Creekside Church is a place you want to call home. ***Lunch and childcare is provided. The Bible says one of the main functions of the church is to "EQUIP the saints for ministry." (Eph. 4:12) These 5-week classes offer you the opportunity to dig deeper into your faith and develop practical tools for the Christian life. Classes are held on Tuesdays at the Church at Cane Bay starting on July 10th and ending on August 7th. Cost covers class materials and childcare for all 5 weeks. We've come a long way and put in a ton of work...It's time to celebrate and rest. We'll provide the hot dogs and hamburgers, so pick your favorite side dish to bring along for everyone to share. Wannaker Park has all sorts of open space, disc golf, and playgrounds to make a great day. Feel free to invite any friends.